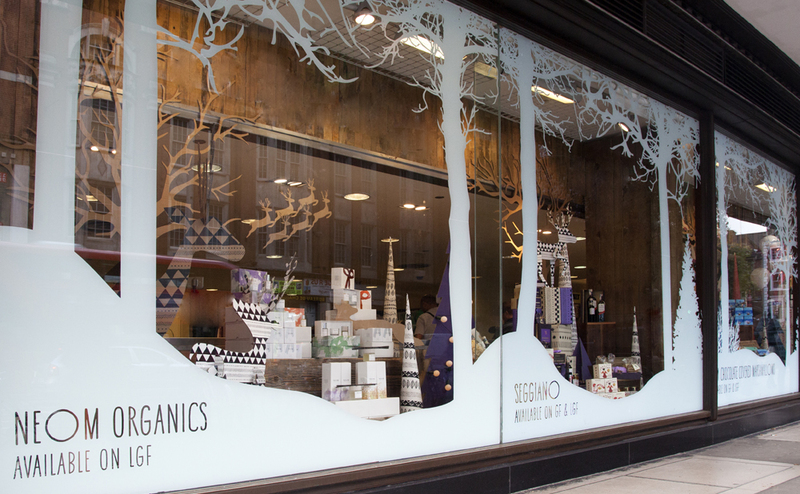 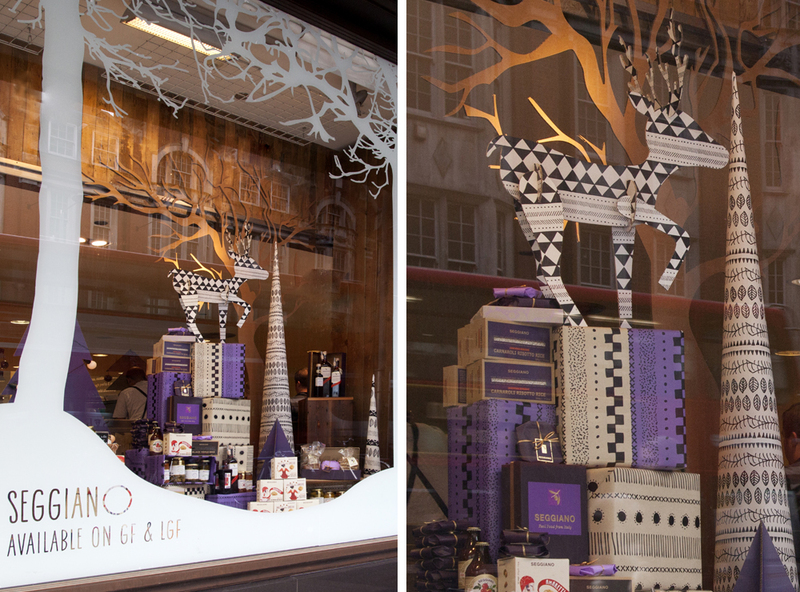 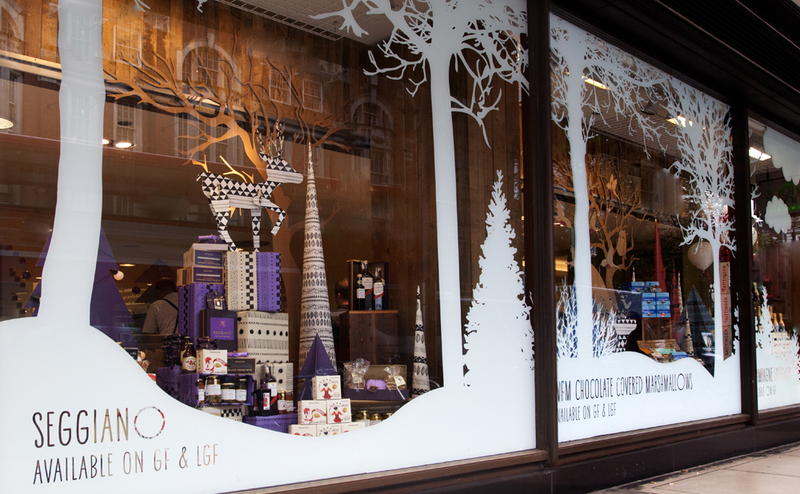 In 2014 we were commissioned by Whole Foods High Street Kensington to design their full Christmas window scheme. 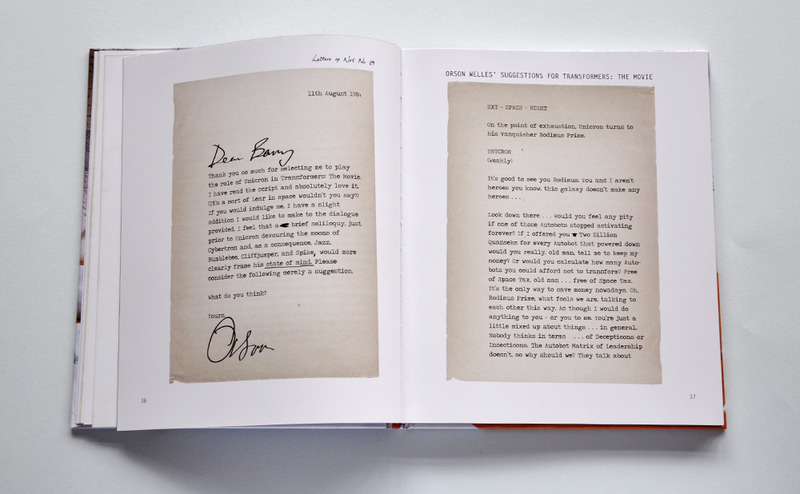 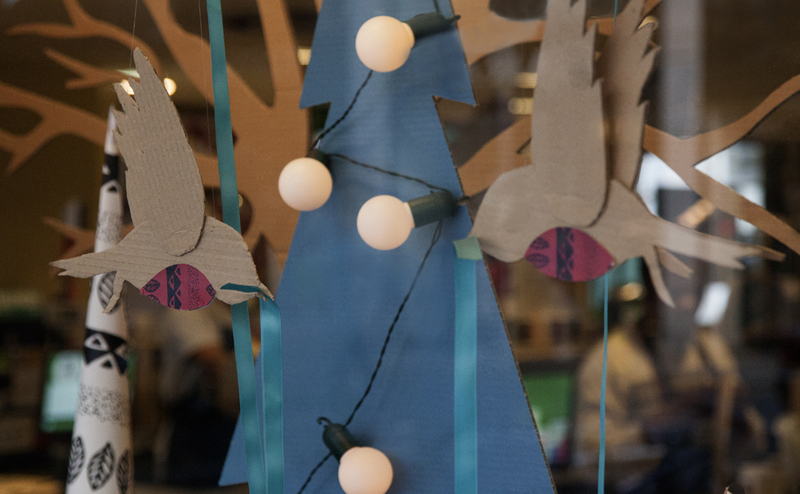 The brief was to tell the story of a baby reindeer learning to fly, with a feel of a Nordic forest. 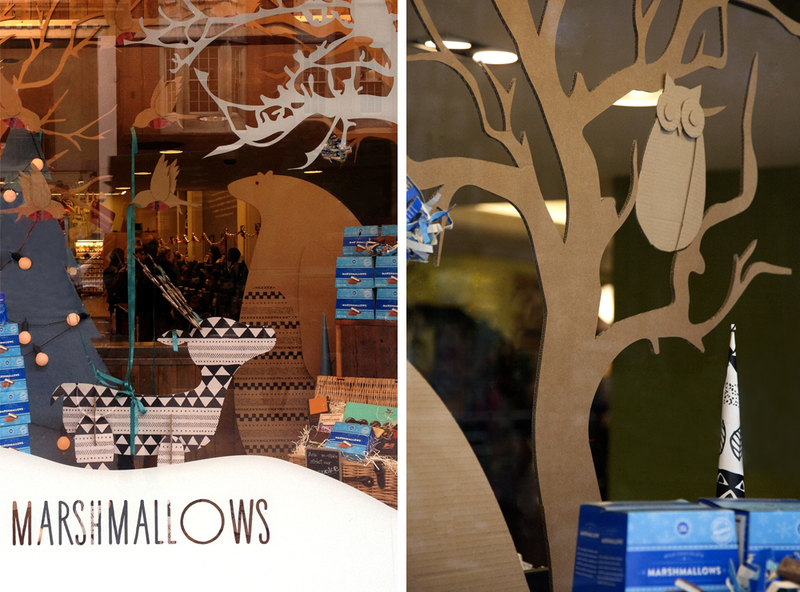 The windows had to incorporate different products and to reflect the Whole Foods style, creative, quirky, handmade and rustic. 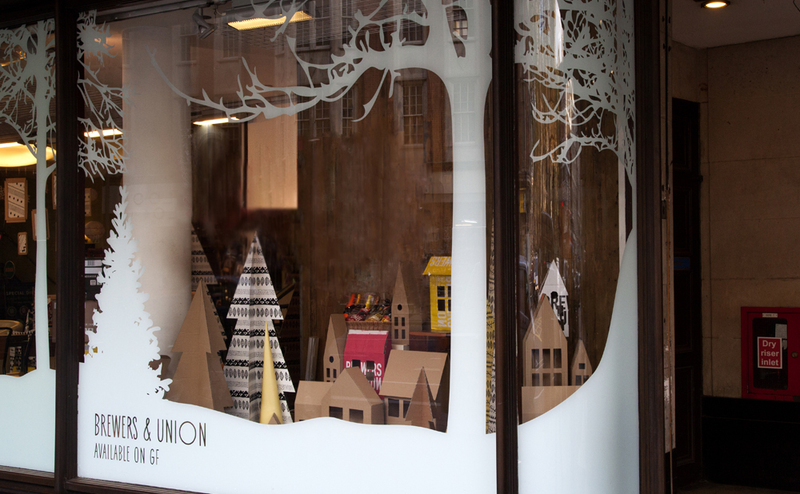 Our design focused on a strong graphic style, combining cardboard, illustration and bold colours to differentiate the windows and complementing the different products. 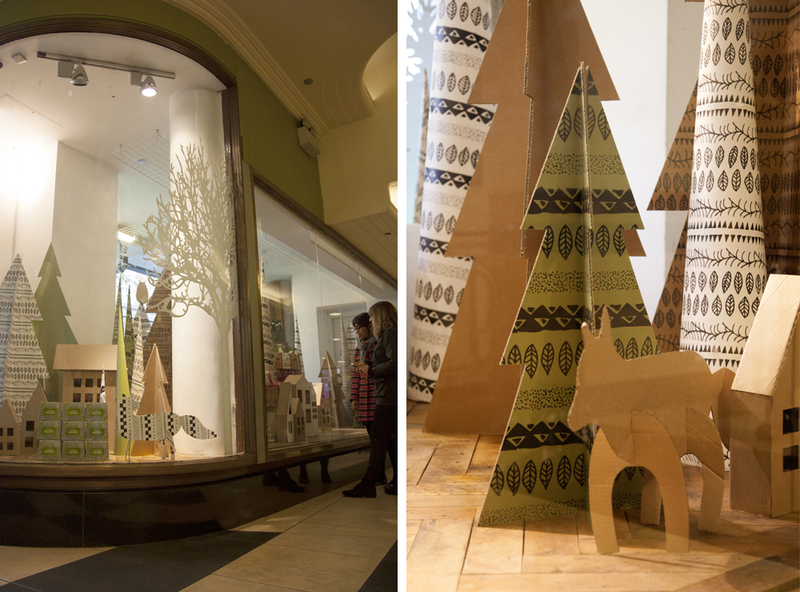 The cardboard was printed with Nordic inspired illustrations and die-cut to create the reindeer, trees and forest animals that slotted together.